Odell Beckham Jr. is one of the most exciting players in the game. He can be quiet for a minute and then explode for a game-breaking play. A player of his excitement level doesn't come around all the time. The Giants have been blessed to have him as a part of their team ever since they drafted him back in 2014. Three 1,000 yard receiving seasons and one injured one later, Beckham Jr. may be getting ready to hit the open market if he isn't compensated by New York. The latest page in this story had the Giants letting Beckham Jr.'s agent leaving town without getting a new deal done for his client. So here we are, waiting for the Giants to make the next move while Beckham Jr. plays out the last year of his current contract. If the Giants have their way, Beckham Jr. will be back there next season, but the way these contract negotiations are going, it may not be happening. 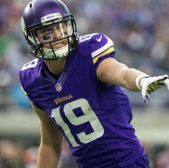 The Giants offered their star wide receiver a deal that would be below the level of Sammy Watkins in terms of annual money per year. For those that don't know, Watkins signed a three-year, $48 million deal with $21 million guaranteed. If you take a look at the numbers Watkins put up, you had to wonder how he got that deal to begin with. Watkins only had one 1,000 yard season his entire career and has less touchdown receptions than Beckham Jr. has had in his career. So the fact that New York wants to pay him an annual salary less than Watkins is a little absurd at this point. But along with not wanting to pay him that money, they still have to decide his value and what they want to pay him because less than Watkins is not going to cut it. 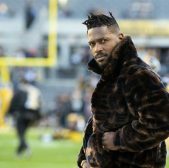 Right now Antonio Brown has the highest average salary at $17 million per season and Beckham Jr. is reportedly looking to boost his average salary a season to $20 million. Now that seems steep, but it may not seem quite as high when you recognize that the NFL salary cap has risen 44.1% since 2013, it could be plausible to pay him the $20 million a season average he wants. There is still time to figure out this deal, but let's just say the Giants and Beckham Jr. are not able to figure this thing out. Then the Giants have to figure out what they want to do with him. One solution would be to keep him the entire season and hope for good dialogue between Beckham Jr. and his agent to get things lined up for a good deal for him to stay. That option isn't necessarily off the table despite how things ended with the last round of negotiations. 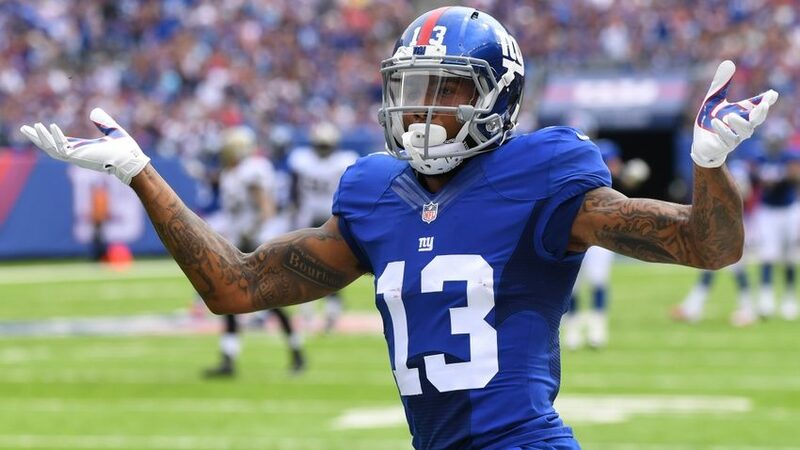 However, if the Giants feel there is a divorce coming between them and Beckham Jr., then it may be in their best interest to trade him while they can get some value for him. 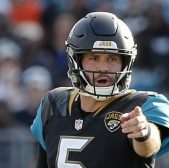 There is a possibility that New York can get nothing for him if they let him walk this offseason, so trading him would at least garner them a pick or player in return. The Giants could then move forward and start getting ready for whatever the rest of the season has to offer him. The Giants and Odell Beckham Jr. are in a weird space right now. He wants to be paid and the Giants are reluctant to do so at the level he wants to be paid. 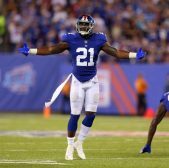 Although his play this season could persuade them to take a seat back at the negotiation table, the Giants seem resigned to not overspend at this point to keep their marquee player. We shall see what happens down the line, but it does not look good to keep him especially if the Giants are going to try and pay him less than Watkins annually.